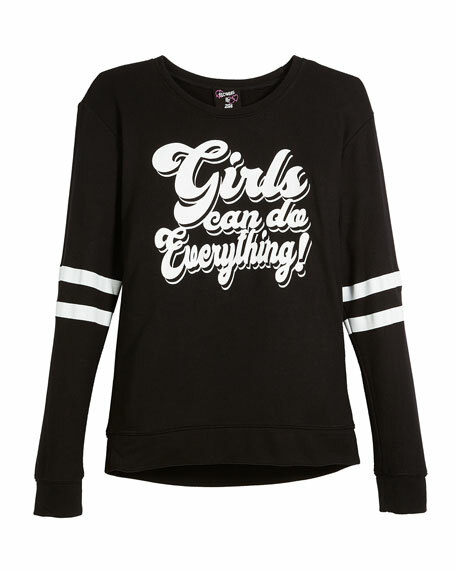 Flowers By Zoe sweater with "Girls Can Do Everything!" text at front. Long sleeves with striped detail. A vivacious and fun line designed for fashion-forward girls, Flowers by Zoe combines trendy style and comfort. Rhinestone accents, robust colors, and bold graphics enliven tops, pants, dresses, tunics, and skirts.